There was a time when if you were on the hunt for a new job, a new apartment, or a used piece of furniture, the first place you would look would be the “Classifieds” section of your local newspaper. The perfect example of a free market at work, people love to feel like they can “shop around” without actually having to go anywhere like a store to browse. As technology has advanced and newspapers began to get obsolete, it was only natural that this same method of buying and selling moved online. Naturally, people now ask, what to sell on craigslist to make money? While there are many classifieds websites all over the Internet, the one that seems to have the most staying power is Craigslist. Maybe you bought your dining set or your coffee table from a seller, or perhaps you’ve searched through the pages of classifieds to try to find your latest home or job. But have you ever considered using this tool to sell some of the possessions that you no longer need? Its one of the most accessible sites to add any items you might be looking to unload, but you should understand the process of conducting a transaction via the site before you jump into it. The first thing you should do to familiarize yourself with the site is to actually take a good look at the Craigslist.org. Select your locale from the cities and counties, and then check out the “for sale” section. You will notice all of the categories of “stuff” that people are selling—it’s practically boundless what people out there are willing to buy if the price is right, and the transaction is relatively easy. Try to get an idea of what exactly you might be looking to offload. Is it the old loveseat you have recently replaced with a couch, or is it the puppy kennel your Great Dane no longer fits into? You can quickly narrow down your item into a category as you prepare to list it. After choosing on the correct tab, you will be asked what category your item falls under. In this instance, let’s pretend you are selling a wooden dining table. You would choose “furniture – by owner” because you are not a furniture dealer. The next window will contain the bulk of your ads. You will first have to come up with a descriptive title that will give buyers a reason to click and find out more. You will find that the claims different sellers choose run the gamut regarding how classy or tacky they are. You will see many pieces of furniture with titles like “Wooden Coffee Table” and plenty of others with titles like “YoU __ HAVE – T0 *** SeE This AWES0ME 🙂 Coffee TAAAABLE!” It’s up to you to decide what type of seller you want to be. Once you have chosen your title, you will need to set a price, your location, and describe the item. When choosing a price, you want to get as much money on craigslist as you can without turning off people. You should probably add your item initially at a slightly higher price than you expect to get. Craigslist selling is often a game of haggling, so don’t start off too low and have no room to negotiate. When choosing your location, try to be as specific as possible. Craigslist people rarely want to go too far out of their way to make a purchase, so not having any idea where they have to drive to pick up your item is more likely to stop a potential customer from wanting to inquire further. In your product description, be as detailed about the item as possible. If you know the manufacturer number, add them. This way, they can do as much research into it as they might want to do before contacting you. You should also put things in the description of how old it is, any defects it might have (functional or cosmetic), and dimensions (length, width, and height). The more information they can learn from your initial posting, the more likely it is that the people who take the time to contact you. The last portion of the form will have you enter your email so that shoppers can contact you. Even though you are entering your email, if you chose the option “use craigslist mail relay,” your actual address won’t be shown to prospects. It will instead be replaced by something like “hfhduudud3382828@craigslist.org”, which will redirect to your email after someone sends their inquiry. Next, you will be taken to a page where you can upload pictures of your item. Never try to add an item without including photos. A blind ad is useless to anyone. For instance, if you were shopping for a table, and the ad said “beautiful antique table with gorgeous design” but didn’t have any photos, would you be interested in following up with that post? Always think like a person looking at it, when you make up as a seller. Often, Craigslist will send you a verification with a link you will have to choose so it makes it onto the website. Make sure to be on the lookout for it, and check your Spam folder if it doesn’t arrive right away. Now the first part of the selling process is done. You can sit back for a day or so and see if any interested parties come forward. After two days, if you still haven’t sold your item, you can go back to your Craigslist account and select “repost” to have everything show up again under the current day’s classifieds. Eventually, if your ad sits on the site long enough and you keep refreshing your post every two days, you will probably get an inquiry or two. This will likely come in the form of an email and may ask for a little more information about the item as well as just asking if it is still available. Try to respond to these kinds of inquiries as fast as possible. And most people will likely react to several ads that they are interested in all at once. The fastest seller to respond is also often the one who will buy. In this case, your line of communication will likely come down to two primary points of discussion: when can the others see it and what is a price that you can both agree on? If you’re lucky, others will merely accept the price and move on, but you should have an idea of how much you are willing to negotiate if they don’t want to pay your chosen amount. Make sure you and the customer have a fixed price before they come to see the item. When it’s time to meet after a phone call (and hopefully a sale) with your buyer, try to find a time that is convenient for both of you. As you have chatted back and forth with them, you will hopefully have been able to get a decent sense of his or her character. You will likely be able to know if you feel safe or have any trepidation about things. If you are at all unnerved by someone from the site, make sure to have a friend or your significant other at home with you when you invite them to look at your item. You are still dealing with a stranger, so don’t put yourself in a situation that makes you at all uncomfortable. In all likelihood, this won’t be an issue, and you can proceed without any fear. Make sure you are at home when they arrive to look at your item. Even if they are not punctual or professional, doesn’t give you the right to act the same way. They have most of the power in the transaction. Get your item in as excellent a condition as possible before they come over. This could mean just wiping it down with a wet paper towel to get the dust off, or it could suggest actually putting in the effort to polish things to present it in the best light possible. When your buyer comes over, it is likely that they will immediately know whether they want the item or not. Hopefully, they will see it, tell you that they want it, and complete the purchase as quickly as possible so you can be done with the experience. Others, of course, will try to negotiate further or threaten to back out at the last minute, so be prepared for this possibility, you can decide what to do. When everything is official, make sure to collect cash. Never accept a personal check as part of any transaction. Now, help them out the door and congratulate yourself, because you have successfully used Craigslist for profit. 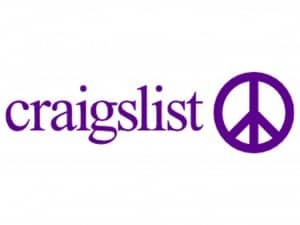 One final step to do both yourself and any other Craigslist shoppers a favor is to log back on to Craigslist and delete your posting immediately. Doing so will stop other people from pestering you about the item that is no longer available. Once you have sold your first item, you will find all subsequent ones to be a more natural and more straightforward process. Keep utilizing this great tool, and see how beautiful it is to finally get some money for the things you do not want to have around the house.